so i’ve decided that i’ve stepped a bit too far away from photography in the last few years and that this year i’m going to fix that. after carefully pondering the different types of photography that i enjoy most, i felt a severe lacking of something simple, manual, and as close to shooting with a film rangefinder as possible (without dropping a massive sum on a the new Leica). thankfully Sony came out with a camera that seemed to fit the bill to to a T, the new Sony A7R. this 36.4mp monster is packed into something more closely resembling a pocket camera rather than a professional level “DSLR” type camera (i have a very hard time calling anything with a digital viewfinder an SLR). though the best thing for me about this camera, is the ability to fit my collection of Leica M-mount glass on it, which i have plenty thats been just collecting dust. i still need a Novoflex Nikon to NEX adapter so I can my Nikon glass, especially my 85/1.4, and i wouldn’t mind a couple more batteries either. well that’s it until i actually get the body, next paycheck here we come! Are these pic’s from the A7R? Hey Ron, not yet, haha I was started building up a kit before I decided to buy the camera. 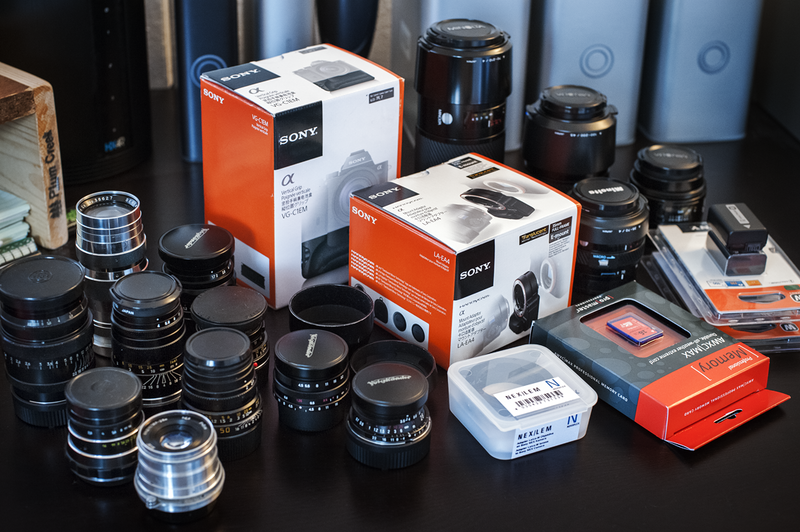 I’ve actually replaced a few of these lenses already (happened on a couple deals). I now have a Minolta AF 80-200/2.8 HS APO G, Sony Carl Zeiss Vario-Sonnar T* 24-70/2.8, and I’m getting the Sonnar T* FE 35/2.8 ZA with the camera.